I started this blog because it is my goal to be able to stay home with my kids and live on one income. My contribution to my family is my ability to use coupons, research deals, and get stuff for free. I have 29 followers right now and it is my goal to reach more people this year. I want to know what you all want. If something I post is especially helpful, tell me! If you hear about a deal that you want me to share, tell me! If you are looking for deals or information on something in particular, just ask and I'll see what I can find for you. If you have information or inside knowledge that would be helpful to others and would like to be a guest blogger, I can make that happen. I enjoy saving money and I want to know that this information is helping your family as well. Thanks so much for all your support!! Here is a code for a free movie rental from Redbox! Use it by tomorrow because it expires 3/1. Make sure you take it back within 24 hours or they will charge you for the extra day. Use code RBXLUV4U. Become a fan of Nabisco Cookies on Facebook and you will be able to print a coupon good for a free bag of cookies when you buy one and a gallon of milk. The coupon won't be available until tomorrow but become a fan today so you can get the reminder on your wall. 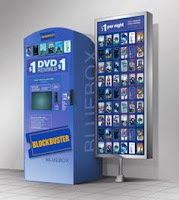 Go to the Blockbuster kiosk (the "Blue Box" as The Big One calls it) and get a free movie rental using code GOLIVE. Make sure you take it back on time or you will be charged for the extra day. This code expires 3/3. Speaking of rebates, Family Friend Fun has a great way to use one of your three $5 SC Johnson Rebates. Pay $1.02 + $5 rebate check = $3.98 MONEYMAKER! *Even if you don't have the coupons from the 1/10 Smart Source, this is still a $2.33 Moneymaker! $.33 overage + $5 rebate check = $5.33 MONEYMAKER! I am trying to eat healthier so these Zip'n Steam bags are a great addition to my kitchen. They are super easy to use and your veggies come out perfectly steamed every time. I especially love steamed cauliflower. You can sprinkle a little parmesan cheese and Mrs. Dash seasoning in the bag with the cauliflower for a delicious salt-free low calorie way to eat your veggies. I highly recommend befriending this new Facebook page. Finding Forward is the brainchild of a wonderful man who has worked his way to financial freedom. He and his wife have ZERO debt (they do not owe anyone any money, no credit card debt, no car payment, no mortgage). Finding Forward is his way of offering the rest of us daily inspiration to do the same. They are an amazing family who are dedicated to teaching people how to live without the stress of money by making money work for you! Mail-in rebates have changed since your mom would send off for $2.00 back from the 10 boxes Hamburger Helper you ate in a month. I was pretty skeptical about spending the time getting everything together, using my stamps, and maybe getting a few dollars back in a month. My only experience with mail-in rebates was from a computer my husband (boyfriend at the time) bought. It took time to get it all together and he didn't get the money back (he admitted years later that he didn't read the instructions.) In the last month, I have decided to try it for myself. Free (up to $5) Jennie-O product - I just put this one in the mailbox and I did have to submit the UPC with the rebate form and receipt but the UPC was on the cardboard outer wrapping so I didn't have to open the package. P&G rebate ($100 in coupons) - I mailed this one out today, too. Diapers.com/Parenting Magazine - This one went out on Monday. The required information for these was minimal and took me less than 2 minutes to complete. All of the rebate forms are printable online and Publix even printed a duplicate receipt for me so I was able to buy my Jennie-O and P&G items in one transaction. After my $2.20 in stamps, I will make $77.26 buying diapers (which The Little One uses on occasionally an hourly basis), hamburgers (which we eat), cleaning products (until someone drops a maid off at my house, I will use this), razors, body wash, and deodorant (for which my friends are grateful.) I didn't buy any crazy off the wall brand or some ridiculous number of food we will never eat. I bought stuff I would have bought anyway. I just get paid for it because I took 10 minutes out of my day to mail off a rebate. I see it as a way to take couponing to the next level. What is your experience or thoughts on rebating? Head over to Free Sample Freak for a great list of 7 freebies at Saks Fifth Avenue, Estee Lauder, Victoria's Secret, Sephora, and more! If you get through the list, that would make for a great weekend!!! This is a really great website. Basically, it's a collection of focus groups and everyone can apply to participate. There are new House Parties every few days. You sign up on the website and apply for everything you might remotely be interested in hosting. They choose 1000 people to host a party, then the guests and host fill out an online survey about the product. It's easy, fun, and you get free stuff! I have hosted a Martha Stewart craft party courtesy of Michael's and as host, I got about $200+ worth of free scrapbooking supplies. My guests got to make three different crafts and all received coupons for Martha Stewart crafts. I have gone to a Kristin Hannah book party (I got a copy of her new book Firefly Lane), a Rowenta steam iron clothing swap, and am invited to a Pull Ups Potty Dance party. I am also hosting an Arnold Sandwich Thins party next week. I got coupons for 5 free packs of Sandwich Thins and a great cutting board. All my guests get grocery list pads, recipe cards, and cloth grocery bags as well as a fun lunch! You will not get accepted for every party you apply to host but you will get some of them. Since November, I have applied for thirteen House Parties, have been accepted to host two, was invited to five (attended three), and am still an "active applicant" for three parties (they have not chosen the hosts for those last three parties.) Those are pretty good odds and as a host or a guest, you get to have fun with friends and go home with great coupons and goodies! 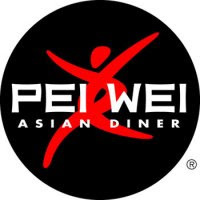 If you become a fan of Pei Wei Asian Diner on Facebook, you can play the Wok Chef game for a chance to win a $20 gift card. You can win once for each recipe (it's similar to the Cooking Mama game) for a total of $100 in gift cards. The fastest times of the day win. It's hard and I haven't gotten close to winning but it's fun. Some of the winners have given tips on the Facebook page so maybe you can win!! For those of you who want more coupons, this is a great way to make it happen! Proctor and Gamble has an interesting rebate available until April 15, 2010. If you buy $50 worth of P&G products (they only care about the purchase price, NOT what you paid for it so use any coupons you have), send your receipts with this form, they will send you $100 worth of coupons! This list of coupons you will get is here. You do not have to buy it all in one trip. The list of P&G brands can be found here. Most of us buy this stuff all the time so we might as well get something for it! This is an awesome deal, especially if you have more than one kid. In honor of the new Sesame Street Safari of Fun, Busch Gardens Tampa is giving away 1-year passes for all kids ages 5 and under. Fill out the form on the left side of this link that says "Free Preschool Pass." You will have to bring the child's birth certificate to prove their age the first time you go. 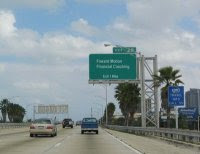 The Florida resident cost of an annual pass for kid's is $89.95 so this is a GREAT freebie!!! You should get this one quick because I bet it will be gone today! Sign up for WellnessDaily, a Jennie-O sponsored wellness information site. You do not have to sign up for the newsletter to get this deal! Then, go to the "Coupons & Offers" section to print out your $5 rebate. After you buy your Jennie-O product, send the rebate form, your receipt, and the UPC to get your purchase price back. It's free meat! I love Jennie-O turkey because the one brand of ground turkey that my husband will eat. He says it just tastes better than any other kind. Sign up with Beech Nut and get a free baby or toddler starter kit. The baby kit includes a newsletter, a box of cereal, and two jars of baby food (you will get coupons for them.) The toddler kit includes a newsletter, a bag of snacks, and two meals. Even if you don't normally use this brand, it can be shared with a new mom or use them free stuff as baby shower gift fillers. I believe this deal is ongoing so share it with friends! Go here to register for a free $10 Bahama Breeze gift card. The form might load slowly but it says the gift card will arrive in 7-10 business days! Sign up for Amazon's Subscribe and Save to get 15% off making the 4-pack $33.99. You also get free shipping and can cancel the Subscribe and Save as soon as your place the order. 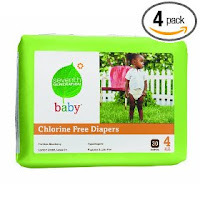 There are many great diaper deals available this week. If you have extra money, now is the time to stock up! I am that crazy lady who does the math to find the price per diaper, trash bag, and paper towel. I know I can get Luvs at BJs with coupons for 16¢ a diaper so I refuse to spend more than that. I have zero brand loyalty which helps me save money. I am listing all the sales I found because I know some of you have medical or personal reasons you use one brand. I hope this helps! My son wears size 4 so my math is based on how many I know come in the size 4 pack. The price per diaper will change slightly based on size. Also, the price will change based on what coupons you may have. Pampers: Buy 2 boxes for $35.99 each, get a $10 gift card. Add something small to your cart to bring the total to $50 (I got Earth's Best cookies, which brought the total to $50.53) for free 2-day shipping. At checkout, use code HAPPYBUM for $10 off. All new orders qualify for a free subscription to Parenting Early Years OR you can go here and print out a rebate for $14.97 if you do not want that magazine. They will mail the check in 6-8 weeks. After the $10 off and $14.97 rebate, I will end up paying $25.46 for 6 packs of diapers and the cookies. This makes them 13¢ per diaper!!! That is the cheapest I've ever found them! If I take out the cost of the cookies, it would make them 12¢ per diaper. Amazing! Thanks, Friend Family Fun for this great information!! Sorry, no picture this week. I didn't have to go to the grocery at all last week (I go by the Publix ad so my week is Wednesday to Wednesday) which makes my last few trips totals even better. I was able to use up some of my stockpile and save even more! Also, go here to enter Publix's Italian Days sweepstakes. Prizes include $10,000 worth of groceries and multiple $100 Publix gift cards. You can also get coupons for Progresso, Pillsbury, Muir Glen, and Green Giant products. Head over to couponcravings.com for a bunch of great freebies including Axe shower gel (which The Big One calls his "man soap" and uses all the time! ), Burt's Bees Toothpaste, and Purex 3-in-1 Laundry Sheets. I love getting good stuff in the mail!! Go here to get a coupon for a free DiGiorno 200 Calorie Pizza. They are usually around $3 so it's a decent coupon. They will mail it to you in 6-8 weeks! I absolutely love going to the grocery. Behind me in line was a young guy who was buying beer and steaks. He said, "That's alot of coupons." I said, "Yeah, but look, I've already saved $80." When the cashier was done and told me my total savings, Mr. Beer and Steak said, "Wow, that's amazing." I gives me such joy to know that people notice and appreciate what I do for my family. It's such an incredible change from a year ago when I would cry on my way home from the grocery because I had no idea how I would feed my family on the pathetic amount of food I could afford. Now, I open the refrigerator and cabinets just to bask in the glow of the volume AND quality of food we have on hand on any given day. I am forever grateful for the friends who have helped me learn how to do this and to my husband for supporting the fact that we never have the same stuff in the house. My life and the lives of my family has been forever changed because of coupons. My wonderful hubby let me go shopping this morning by myself. Here is the result. Go to Crofter's Organic Facebook page and post your prediction on who will win the Super Bowl. Everyone who picks the winning team will get a free jar of one of their jams or spreads. You can also Tweet your prediction. I'm rooting for the Saints because I want my free hot sauce! 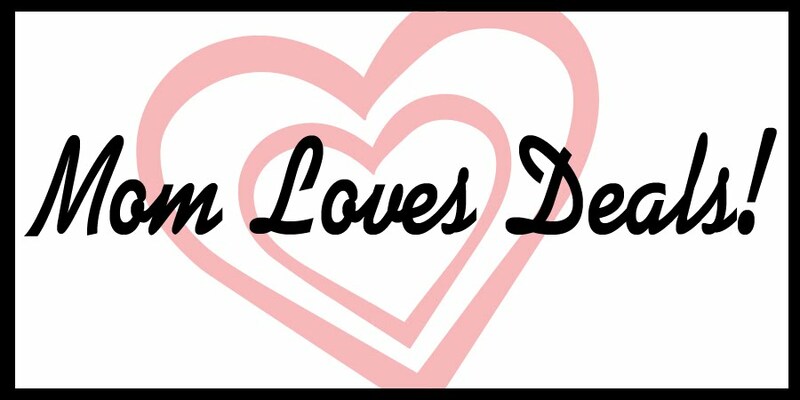 All through the month of February, Florida Blood Centers are giving everyone who donates blood a $10 gift card for Darden restaurants,which can be used at any Red Lobster, Olive Garden, Longhorn Steakhouse, and Bahama Breeze. I gave blood in October, on a bus, with my 4 year old in tow. If I can do it, you can, too!! There is currently an urgent need for type A- blood. All types are welcome, however, because they are shipping blood to Haiti. Become a fan of Louisiana Hot Sauce on Facebook before Sunday, register your address (under the "Free Gold" tab), and they will give all of their fans a bottle of Louisiana Gold if the New Orleans Saints win the Super Bowl. I don't usually watch the Super Bowl but now I have two reasons. I can get free pants and free hot sauce! At Publix, pick up the green coupon book of health and beauty discounts. Inside, there is a $1 off coupon for any KY product. KY Yours + Mine, Intense, and Intrigue are 20% off right now. Combine the sale and Publix coupon with the $5 off KY Yours + Mine, Intense, or Intrigue that was in the 1/31 Smart Source insert and you can get a $20 product for around $7. If you've seen the commercials and wanted to try it, now is the time! Vista Print has reduced the price of 100 Mommy Cards for $1.99. They are super cute and great for those days at the park when you meet a mommy you would really like to arrange a playdate with but no one has a pen. Shipping at Vista Print is usually around $4. Get these today because it looks like they won't offer this price for long! This is a weird but funny freebie to me. Mom By Heart found this one. Here's what you do. As you are watching the Super Bowl this Sunday, watch for the Men Without Pants commercial. When you see it, go here to register for your free soft khakis. You can go to that link now to watch the commercial so you know what you're looking for this weekend. The first 2010 people will win. 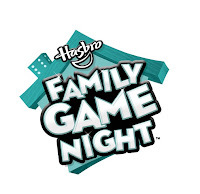 Free Sample Freak found a way to get 7 games and toys for .24¢ - $6.96. These are great deals for last minute birthday parties or boring weekend days. I will be going in the next few days to pick up a few of these. Also, coupons.com has coupons for more games, like The Game of Things, which I have wanted since before Christmas. It's $25 at Target but with the coupon, I can almost justify buying it. Also, couponcravings.com, listed a few other games you can get at Target with these same coupons. Remember, you can print each coupon twice. I got some info from my Toys R Us insider that The Game of Things is $17 at Toys R US right now. So, with the $5 coupon and the $5 egift card they will email you for becoming a fan on Facebook, this $25 game becomes $7!!!! I AM SO EXCITED!!! Amazon.com has the Alvin and the Chipmunks "How We Roll" music video for free to watch as many times as your (or your child's) heart desires. We are on viewing #4. Watch it here. You don't have to download anything because it plays directly from the website. It is 3 minutes long and The Big One (even with 6 stitches in his head from his run in with the coffee table last night) has danced the entire 9 minutes we've watched it. The Little One danced about 5 of those minutes. Read this article published by CNN Money on the biggest ripoffs we see (and pay for) every day. I only buy name brand over the counter medicines if I have great coupons for them because I knew just what the article says. Generics are moderated by the FDA, just like name brand. The one we can seem to avoid, though, is the movie theater popcorn. We don't eat popcorn at home when we watch a movie. So, WHY do we do it at the theater??? I am also turning the receipt in for the Publix/Kimberly-Clark and Unilever rebate so I'll get another $10 back!